If You Invested $1000 With Warren Buffett Back In 1964, How Rich Would You Be Today??? 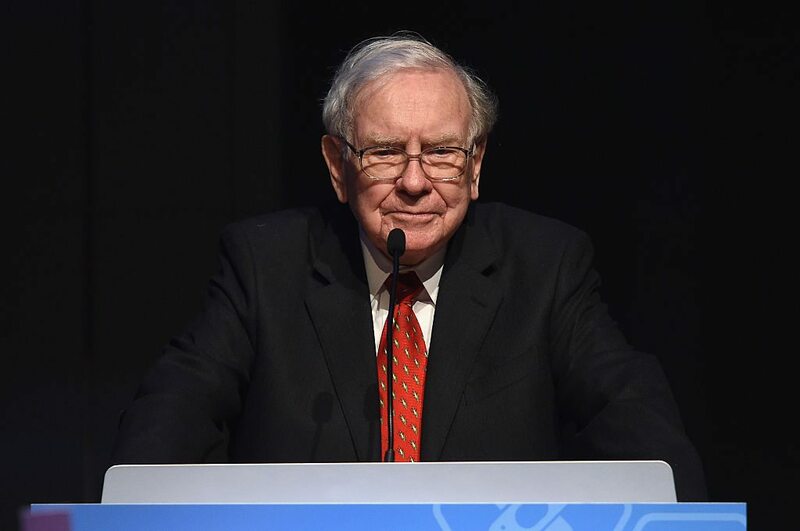 Warren Buffett, also known as the "Oracle of Omaha", is noted for his adherence to the value investing philosophy and for his personal frugality despite his immense wealth. He is a founder and member, alongside Bill and Melinda Gates, of The Giving Pledge – a group of billionaires who have pledged to give away at least 50% of their wealth by the time they die. Buffett plans to give away 99% of his more than $65 billion dollar net worth through the Bill and Melinda Gates Foundation. Warren was born on August 30, 1930 in Omaha, Nebraska, the second of three children. As a child, Buffett was socially awkward, a bit shy, and kind of a wiseass. As he does now, Buffett loved Omaha but felt at odds everywhere else. When he was in middle school, his father Howard was elected to the United States House of Representatives and Buffett became the new kid at a Washington, D.C. middle school. His father served four terms in Congress. Warren finished elementary school, attended Alice Deal Junior High School, and graduated from Woodrow Wilson High School in 1947, where his senior yearbook picture reads: "likes math; a future stockbroker". Buffett's interest in the stock market dated back to childhood. On a trip to New York City at the age of ten, he made a point to visit the New York Stock Exchange in the way others might visit the Statue of Liberty. It was a must see attraction for the young Buffett. At the age of 11, he bought three shares of Cities Service Preferred for himself. When he was in high school he invested in a business owned by his father and bought a farm worked by a tenant farmer. Even as a young boy, Buffett understood that making money and having more money than his friends was pleasurable. He worked paper routes, bought and managed pinball machines, and even created a horse racing tip sheet that he sold at the local track. By the time he was 16 years old, he'd read every book he could get his hands on about handicapping races and had amassed the equivalent of $53,000 in today's dollars. He was eventually accepted to the University of Pennsylvania's Wharton Business School but didn't see the point in attending. You see, Warren Buffett already knew what he wanted to do—live in Omaha and invest in stocks. His parents stepped in and forced him to ship out to Pennsylvania. But Warren's love of his hometown would prevail and after two years he transferred to the University of Nebraska to finish his bachelor's degree. He graduated at the age of 19 with a Bachelor of Science degree in business administration. He then enrolled at Columbia Business School to study under his idols Benjamin Graham and David Dodd. He earned his Master of Science in economics in 1951. In April 1952, Buffett made his first big bet on what was then a struggling and obscure insurance company called Government Employees Insurance Company. Better known today as GEICO. The company was not a bargain—it was trading above the value of its assets. But Buffett analyzed the business and saw how fast it was growing. He felt confident that he'd be able to predict what the insurance company would be worth in a few years. He took three-quarters of the money he'd patiently and meticulously acquired up to that point and took over GEICO. That same year he married Susan Thompson and the next year they had their first child, Susan Alice Buffett. In 1954, Buffett accepted a job at the partnership of his graduate school mentor, Benjamin Graham. His starting salary was $12,000 a year (approximately $106,000 inflation adjusted). That same year the Buffetts had their second child, Howard Graham Buffett. In 1956, Buffett's personal savings were over $174,000 ($1.5 million inflation adjusted) and he started Buffett Partnership Ltd., an investment partnership in Omaha. He never looked back from this point. In 1958, Warren and Susan Buffett bought a lovely but modest five-bedroom house in Omaha, for $31,500. He still lives in this same house to this day. It is now worth around $700,000. In 1958, the Buffetts' third child, Peter Andrew Buffett, was born. By 1960, Buffett had made money so rapidly and impressively that his name was being whispered between those in the know like a secret. He was already gaining the reputation for being a wizard with money. 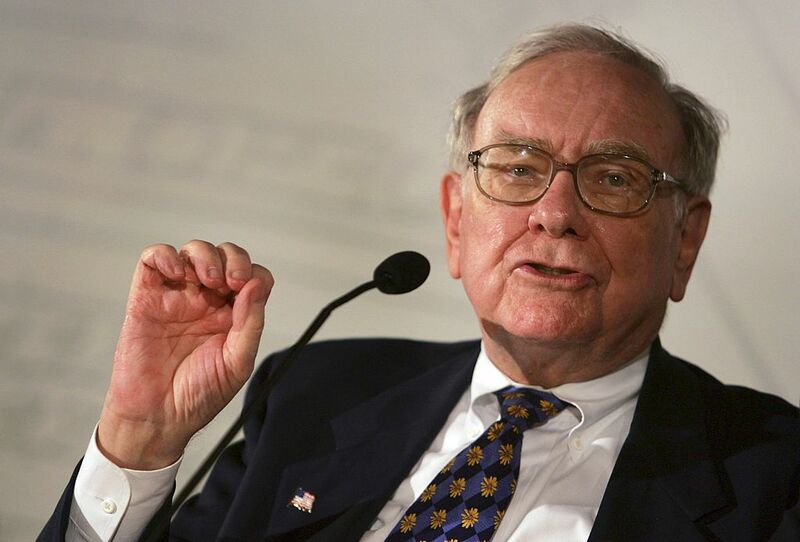 In 1962, Warren began buying shares in Berkshire Hathaway at $7.60 per share. In 1965, Buffett began purchasing Berkshire aggressively, paying $14.86 per share while the company had working capital of $19 per share. By 1970 he owned the majority of the company and appointed himself Chairman and CEO of Berkshire Hathaway, a position he holds to this day. On May 29, 1990, Berkshire Hathaway began selling Class A shares to the public. When the markets closed, Class A shares were trading at $7,175 and Warren was officially a billionaire for the first time. In 2008, Warren temporarily became the richest person in the world with a total net worth at the time of $62 billion dollars. He had finally overtaken his friend Bill Gates who had been the richest man in the world for the 13 previous consecutive years. By 2009, Gates was number one again and Buffett was number two. As of this writing, Warren is third richest person on the planet. So, what would have happened if you'd invested just $1,000 with Warren Buffett in 1964 and held on until today? When it's all added up and adjusted for inflation, $1000 invested with Warren back in 1964 would be $10.5 million today. If you had chosen to spend that money in 1964 rather than invest it, you could have bought the first VCR on the market. When Sony released the first VCR to the public, it cost $995. If you had invested $1,000 in 1970, you'd have $4.8 million today. Conversely, if you had spent that $1,000 in 1970 instead, you could have bought two coach airline tickets from New York City to London. If you'd invested $1,000 in 1971 you'd have $2.7 million. If you'd spent that $1,000 in 1971, it might have been on a fancy new side by side refrigerator, which cost about $800. An investment of $1,000 in 1979 would have left you with $623,621. Or, you could have paid for a year of college at an in-state public university. If you had invested in 1984, your $1,000 would now be $155,301. You could have taken that $1,000 and instead planned a trip to the 1984 Summer Olympics in Los Angeles. Event tickets ranged from $3 to $95. Tickets for the opening and closing ceremonies were $50, $100 and $200, depending on stadium location. Add in airfare and hotel, and you've spent that $1,000 easily. Obviously, the closer you get to today, the less that $1,000 investment would become. But no matter how you slice it, when it comes to Warren Buffett, you definitely want to be in it for the long haul. Have $1,000? It is always a good bet to bet on Buffett.